Many thanks to the Marin Independent Journal and their reporter Mark Prado for featuring Casey’s story in their Sunday Spotlight profile. 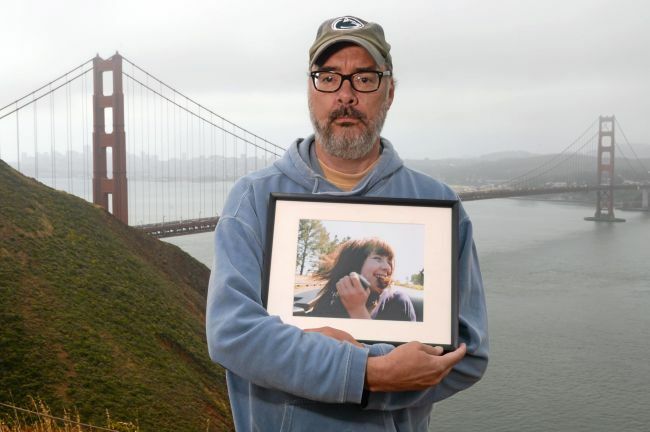 The IJ has been way out ahead of other Bay Area news outlets in their coverage of the Golden Gate Bridge suicide barrier and the plight of the families who’ve lost loved ones to the bridge. When I joined others in the movement to stop suicides from the bridge – the deadliest structure on the planet by a wide margin – our group was treated slightly better than leapers. We testified repeatedly in front of the Golden Gate Bridge board, most (but not all) board members disinterested and disengaged. I met with my congresswoman’s aide who, after hearing Casey’s story and seeing her pictures, was utterly unmoved. “Perhaps she hung out with the wrong crowd,” she said. It was all Casey’s fault. I was nearly thrown out of San Francisco mayor Gavin Newsom’s office in the midst of presenting him (or rather his aide) with a gift – a framed picture of Casey in front of the bridge – after the mayor declared himself against the barrier … over aesthetics. The Bishop of my former church, the Episcopal Archdiocese of California, declared his support for the barrier after hearing that a young parishioner had died provided, of course, that it was not architecturally intrusive. Opinion pages were ho-hum, and the Bay Area public – mostly ignorant about and untouched by suicide – remains decidedly against the barrier. But the times they are a changing. The Bridge board is now unanimously pro-barrier. Metropolitan Transportation Commission members including Oakland Mayor Jean Quan and San Francisco city supervisors, David Campos and Scott Weiner, among others, told us in moving tones during yet more testimony that it was our personal stories and persistence in presenting reams of facts about the success of deterrents elsewhere that won them over. Their only regret was that it took them too long. Even Gavin Newsom is now for the barrier. During this same time, I wrote The Girl Behind The Door, my search for answers to Casey’s suicide. Why did she do it? What did we miss? What could we have done differently? My search led back to her infancy in a Polish orphanage, the trauma she likely suffered from birth, and the attachment disruption that explained so much of her behavior, everything that the “professionals” missed. We learned too late that when we put ourselves in the hands of therapists and psychiatrists to help us understand and deal with our loved ones at risk, they don’t always get it right. Sometimes the consequences are tragic. I searched for an agent. All but one ignored my emails and calls; she was an adoptee herself. Bless her heart, she tried her best to shop the story. But publishers told her it was too sad. Even people who should’ve read the story would probably be turned off, they said. People want “happy” stories. I don’t think they ever read past chapter one. So I self-published the book only to learn that most media and news outlets have a built-in bias against self-published works. Bookstores won’t carry them. They want the stamp of approval of a “real” publisher. But a funny thing happened. Hundreds of people read Casey’s story and loved it, posting dozens of consistently superlative Amazon reviews. 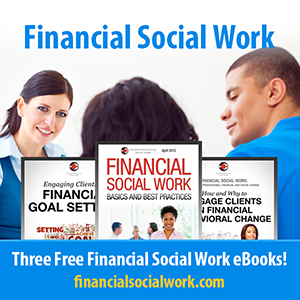 Mental health and adoption professionals, adoption, suicide and attachment groups, people within and outside of the adoption “triad,” even New York Times best selling authors all gave it a big thumbs up. So now that I know how strongly Casey’s story resonates, my challenge is to find more readers who would love the story if only they knew. So please tell your friends! The Girl Behind The Door is available on Amazon and Kindle, Nook, Smashwords and iBook, among other ebook platforms. 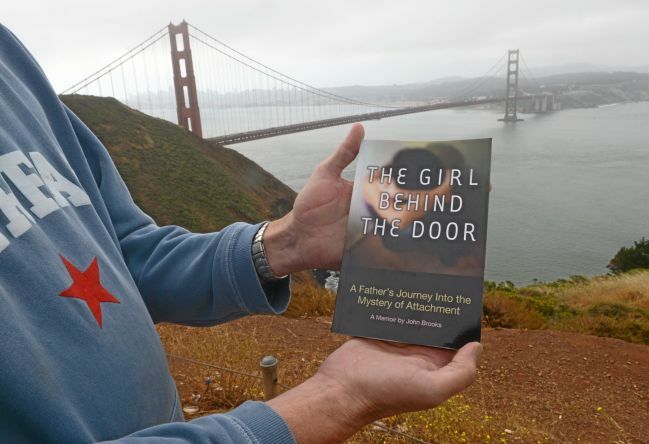 Casey’s Story in The Marin Independent Journal Sunday Spotlight was originally published @ Parenting and Attachment and has been syndicated with permission.